Texas Instruments We are proud to have Texas Instruments continue as the Title Sponsor for the 2019 Solar Car Challenge. Texas Instruments is the world leader in digital signal processing and analog technologies, the semiconductor engines of the Internet age. In addition to Semiconductor, the company's businesses include Sensors & Controls, and Education Technology. TI is headquartered in Dallas, Texas, and has manufacturing, design or sales operations in more than 25 countries. Texas Motor Speedway Speedway Motorsports, Inc (SMI) is a leading promoter, marketer and sponsor of motorsports activities in the United States. As the owner and operator of Atlanta Motor Speedway, Bristol Motor Speedway, Lowe's Motor Speedway, Las Vegas Motor Speedway, Infineon Raceway at Sonoma, and Texas Motor Speedway, SMI has one of the largest portfolios of major speedway facilities in the motorsports industry. Closed-track events are held on alternate years at the Texas Motor Speedway. Foundation The Lightner-Sams Foundation of Dallas has generously funded the Internship program. This program allows former Challenge participants to return to the race to help plan, coordinate, and judge the upcoming event, and plan for the future events. Kahn Education Foundation The Kahn Education Foundation was established in 1996 to support both public and private educational institutions, and the educational programs of public charities. Their special interest is in supporting programs and facilities that make learning fun and safe. Lockheed Martin Lockheed Martin is a global security and aerospace company that employs about 123,000 people worldwide and is principally engaged in the research, design, development, manufacture, integration and sustainment of advanced technology systems, products and services. 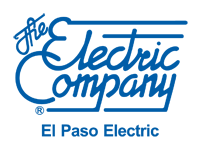 El Paso Electric El Paso Electric is a regional electric utility providing generation, transmission and distribution service to approximately 417,000 retail and wholesale customers in a 10,000 square mile area of the Rio Grande valley in west Texas and southern New Mexico. El Paso Electric is committed to supporting the development of renewable energy projects in its West Texas and Southern New Mexico service territory. Motorola Solutions Foundation The Motorola Solutions Foundation, the charitable arm of Motorola Solutions, focuses its funding on public safety, disaster relief, employee volunteerism and education, especially engineering and information technology programming. They partner with programs that engage students in innovative, hands-on technology and engineering activities, such as coding, programming and robotics. Ryder Trucks Ryder is a Fortune 500 company providing leading-edge logistics, supply chain, and transportation management solutions worldwide. 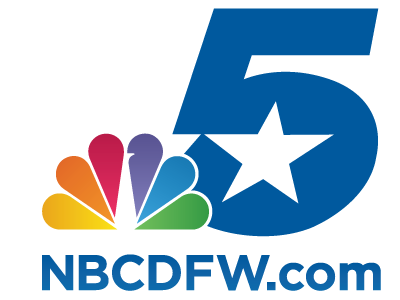 NBC 5 NBC 5 (Dallas-Fort Worth) is the official Media Sponsor for the Solar Car Challenge. NBC 5 is the place to go for exclusive local stories, the latest breaking news, weather updates and more in the Dallas-Fort Worth metroplex. Dallas Mavericks Dallas Mavericks are the premier National Basketball league team in the Dallas-Fort Worth metroplex. They support the community through the Dallas Mavericks Foundation, Mavs Basketball Academy, and Mavs Kids Club. Five Star Ford Five Star Ford Plano is a Premier Ford Dealer who can help customers find the new Ford or used car of their dreams. EARTHx EARTHx is an annual festival seeking to elevate environmental awareness and influence the way Texans think, live and work. Their focus on environmental initiatives and ideas make them a great partner for our focus on renewable energy. 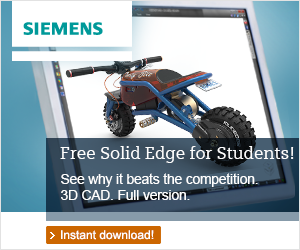 Siemens Siemens has partnered with the Solar Car Challenge to offer Solid Edge for free to students on Solar Car Challenge teams. This outstanding software helps teams to develop their mechanical drawings and electrical schematics. Weather Decisions Technologies In 1999, after careful market research and thorough competitive analysis, a group of the U.S.A.'s top weather researchers and technology innovators formed Weather Decision Technologies, Inc. WDT provides the world's highest resolution, most accurate weather information content to help you make the appropriate decisions to minimize weather-related risk. Lenovo Employee Cares Lenovo is again the world�s #1 PC company as well as a leading provider of mobile phones, tablets and a full range of IoT devices. Lenovo is also the world�s largest supercomputer provider, with 140 of the 500 most powerful computers and 89 world records in key workloads. Lenovo Employee Cares allows Lenovo US and Canada employees to make a personal donation and have it matched by the company. Mississippi Solar Energy Society The Mississippi Solar Energy Society is the Mississippi chapter of the American Solar Energy Society. 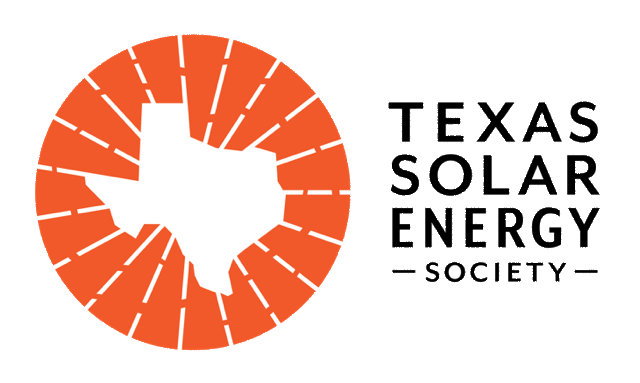 Texas Solar Energy Society The Texas Solar Energy Society is a non-profit organization with a long history of solar and renewable energy outreach and education. Founded in 1976, they have been serving Texas for 42 years. They have a national reputation for their most high profile projects, including the Austin Cool House Tour, in its 22nd year. North Texas Renewable Energy Group The North Texas Renewable Energy Group is the North Texas chapter of the Texas Solar Energy Society that furthers the development of renewable energy, sciences, and technologies with concern for the ecological, social and economic fabric of the community and state. The Dallas/Fort Worth Marriott Hotel & Golf Club at Champion Circle is the official event hotel for the Solar Car Challenge. They are hosts for the annual Solar Car Challenge and for various educational workshops held throughout the year. Yumi Ice Cream Company was established in 1986 in Irving, Texas. At the outset, they committed to provide a profitable and well-merchandised Ice Cream Program for all channels of the trade in the markets they operate. Fourteen years have passed and the original Yumi business philosophy remains. Today, Yumi services over 6,000 accounts across Texas from operation centers in Dallas, Fort Worth, Houston, Austin, and San Antonio. 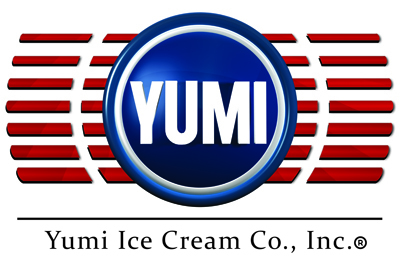 Yumi has generously agreed to donate ice cream for race participants at the Solar Car Challenge. Bank of America is committed to creating meaningful change in the communities they serve through our philanthropic efforts, associate volunteerism, community development activities and investing, support of arts and culture programming and environmental initiatives. They are helping to advance the economic health and vitality of communities by supporting nonprofit organizations that address community development, education and workforce development and critical needs. Since 1976, the General Motors Foundation has donated nearly $1 billion to U.S. charities, educational organizations and disaster relief efforts worldwide. In 2016, the company began transitioning from a U.S.-focused, foundation-based giving model to a global social impact strategy to promote economic growth around the world. This strategy will advance STEM education, improve vehicle and road safety and build sustainable communities, with a special focus where GM has business units and employee presence around the world. Every day, Capital One strives to ensure that they operate our business in an environmentally sound and socially responsible manner and seek to raise awareness of sustainability best practices among our shareholders, consumers, associates and suppliers. Their philanthropy program provides grants to national and local organizations that support education, financial literacy and community development initiatives. In addition, they build partnerships with nonprofit organizations with missions that compliment these focus areas. Verizon employees give generously of their time, money and skills. The Verizon Foundation supports their employees' passion for community engagement through matching gifts, team incentives, the V2V fund and volunteering, especially for STEM education for K-12 youth. Ham-Com is the amateur radio convention for the Dallas area. They have graciously provided safety equipment for the Solar Car Challenge. Krage & Janvey, LLP The law firm of Krage & Janvey, LLP has been devoted to helping business, commercial and corporate clients since it was founded in 1971. With a belief that professional and sophisticated legal services should be affordable, their Texas business attorneys have focused on combining the personal attention you might expect from a small firm with the breadth of experience associated with larger firms.